Sherwood, WI (5/16/2018) - Countryside Auto Transport's Zac Zakowski returned to the track where he honed his skills as a young go-kart racer, scored a podium and put in two excellent come-from-behind charges during the Midwest SXS Spring National. 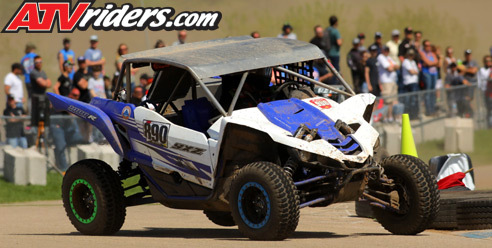 The two-day event was held at US Air Motorsports Raceway in Shawano, WI. The races were held on a specially built course that comprised the facility’s renowned asphalt drifting and go-kart circuit, along with a specially built dirt short course. The race was put together by Johnny Greaves, CJ Greaves, and Rodney VanEperen as a way to kick off the Midwest short course racing season. 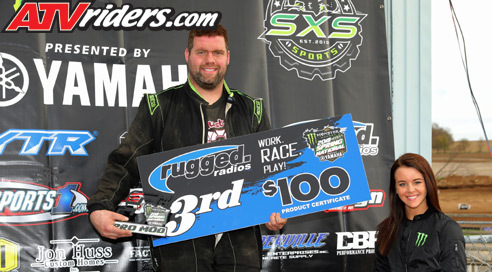 On Saturday, Zakowski competed in the Pro Modified race, and he finished third. Zakowski put in consistent laps on the tricky course to score the podium. Zakowski grew up racing go-karts at the track. On Sunday, Zakowski started last in Pro Modified after missing qualifying due to a mechanical issue and moved up 11 positions to finish 10th. Zakowski enjoyed his trip through the field. “We started in the back of the field in the mod race and I enjoyed driving through the field,” said Zakowski. “It was an exciting race, but it took a lot of work. In the Pro Stock race, he started 14th and steadily progressed through the field to finish sixth. It was Zakowski’s first race in the class, and he was happy with how he performed. Zakowski was running Kenda’s Kongur Tires. The brand new tires have a light truck inspired tread pattern and were perfect for the dirt and asphalt circuit. Zakowski is planning to run the four-race Lucas Oil Midwest Series, as well as select GNCC events. 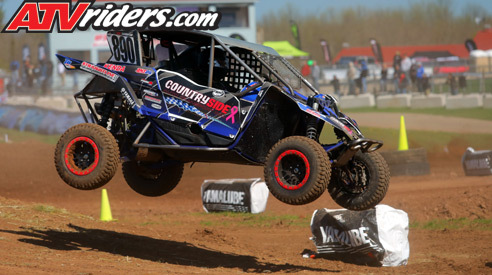 The Lucas Oil Series kicks off June 15-17 at Crandon International Off-Road Raceway in Wisconsin.